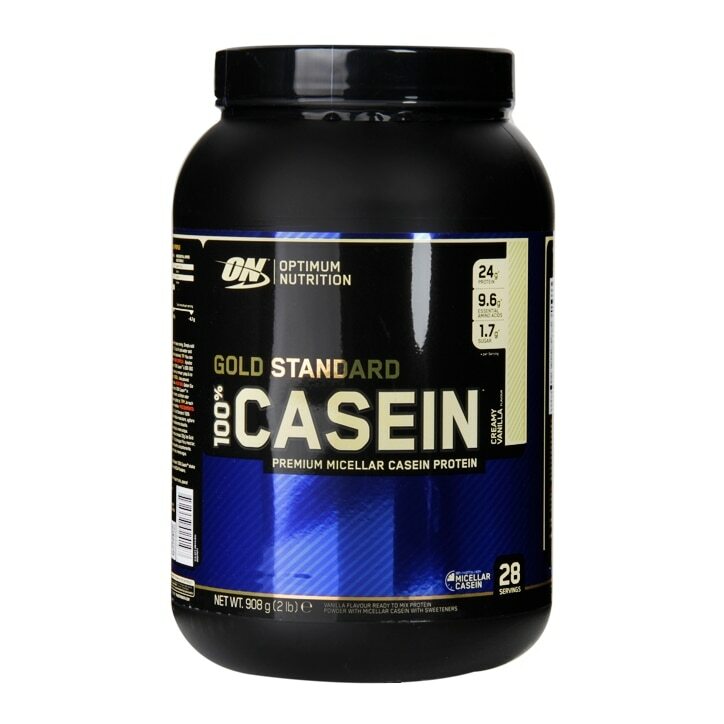 Optimum Nutrition Gold Standard 100% Casein Powder Vanilla is rated 4.0 out of 5 by 5. Rated 5 out of 5 by Kls24 from Quality! Top quality product! Taste is great not powdery like others I’ve tried. Rated 2 out of 5 by tallcmp from Not as good as their whey I'm a big fan of ON whey - I think it's the best on the market. I tried this having read about its slow release being better at night-time. I just can't get it to mix without leaving a sawdust texture in the bottle - even mixing it with more than the recommended amount of water. Plus the fact that a scoop requires twice as much liquid as the whey for the same volume of protein - which isn't great for the bladder right before bed-time! It also gets really foamy when shaken up with water, which isn't very pleasant. I'm now using this during the day just to use it up so I can get back to the ON whey, which is great.